I entered Uni in 2007 and my first year was a beautiful disaster. I had a very good result but didn’t register appropriately so all my grades showed as blank. I had to go through a wealth of protocol to get some released……and starting off on this bad foot just triggered a storm. I was not a bad student and still maintained a second class result upper (2.1), until all hell broke loose in my final year. 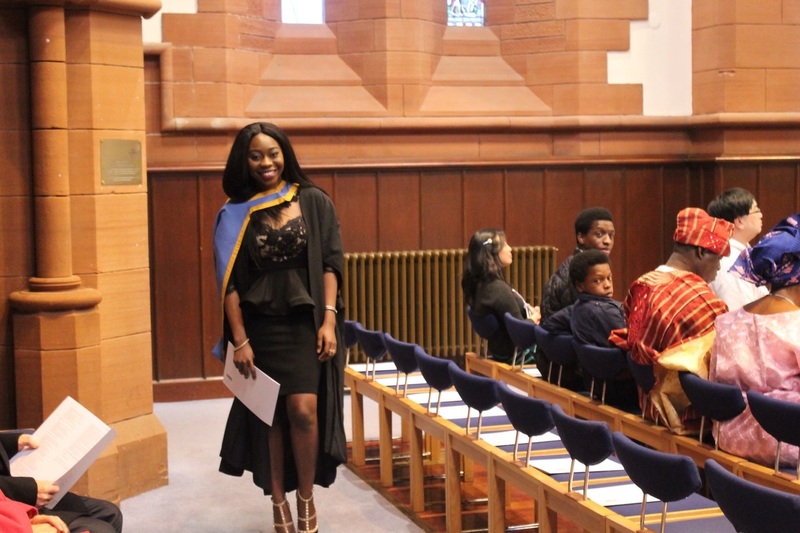 I gave my life to christ in my 3rd year of uni(2010) and started my walk with God. I became such a self-righteous christian that I excommunicated most of my friends, and made new ones which I thought could help my walk…. I even stopped doing all the ‘major’ and ‘minor‘ things I used to do including ‘dubbing’ A.K.A cheating during tests or exams lol. I remember my final exams in the Uni, I sat in the very front because I was so confident that I had read like I didn’t pray and prayed like I didn’t read. In fact that year we had this chaplaincy programme in Uni called hour of destiny, which is where you’d go to an open space in front of the chapel and pray for an hour with other people. Trust me to be diligent. I was always there. Exam time came, I felt I was well prepared. I answered all the questions to the best of my abilities and felt proud afterwards. When I checked the answers after each exam, my answers often correlated. I was thrilled. During these times my colleagues called me all sorts behind, I remember the whispers I heard from close friends who mocked my sudden life change, I still didn’t bother because I believed that my salvation was paramount, and my life needed to look like I had been saved. On the day our results were released, my then roommate and I had a prayer session before walking to the board, thanking God for our awesome result in faith. My dear Blog readers, I almost fainted when I saw my result LOL…… it’s amazing that I can look back now and laugh at myself because back then it wasn’t funny. Brethren, We did 9 courses, Tosin had 6 F’s 2 A’s and One D. I automatically assumed it was a registration error because how can I fail with all my preparation and spiritual bribery? I had done all I could practically and faith wise, Impossible! so I thought. Unknown to me that when the devil is out for you, nothing is off-limits. He doesn’t need to use anybody as a vessel, One can be attacked right from hell. I went to the lecturers in charge, just to find out that the 6 courses were supervised by 1 lecturer. Four other colleagues and I faced this same issue….it was later revealed that the man had put us in his ‘black list’ and vowed to fail us because we threatened to get him fired or some silly accusation, I knew nothing about. How would I tell my parents that from 100 to 400level I never had a carry-over and in my final year I had 6? meaning I won’t graduate with my peers, I’d have a 2.2 and have to do resits which costs almost my tuition. I wept like never before, did God fail me? was it a crime to try to live godly, these thoughts were constantly on my mind. I lost weight, I wasn’t eating, oh the shame- ‘babe like me’ to come for summer school? while my mates were getting ready for NYSC. I was just sad. I didn’t even tell my parents, but my dad figured I was hiding something when I refused to send my results, so he and my mum came to school to visit me unannounced. 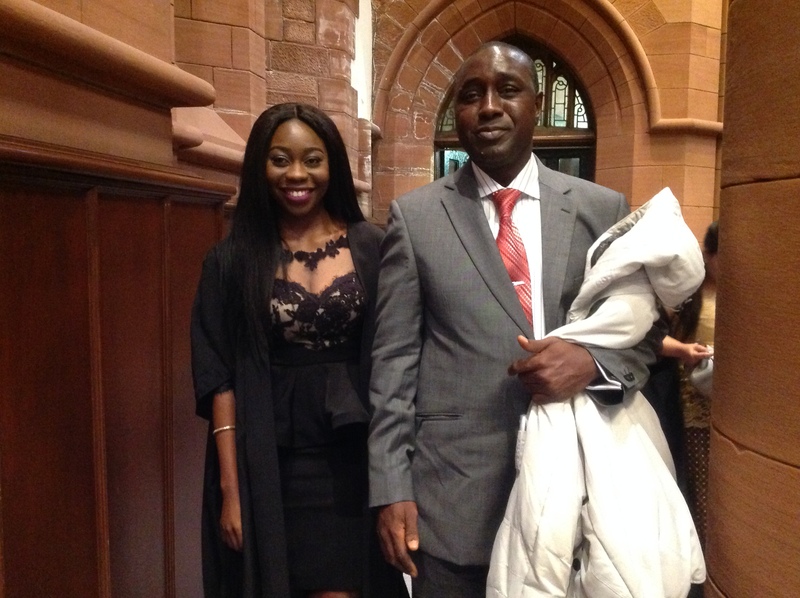 8am one morning, I was called for, my parents were downstairs at the reception of my hall of residence. My dad looked and me and said, “your school has sent your result and we are going to the department to find out what really happened”. He didn’t sound upset or angry, he just drove me down to my H.O.D’s office…..she was a lovely woman who liked me. She told my dad that nothing was in her power, but she’d help retrieve the seized results. We were able to get back 2 courses out of 6 which turned out to be A’s, the other 4 I had to rewrite because those exam papers were never found and only my midsemester grades were recorded. Attending a private university I had to pay a lump sum of money to rewrite those 4 exams that summer(august 2011). My undergrad graduation was July 22nd 2011, my name wasn’t released for graduation because I still had uncleared courses. My parents were quite supportive even though utterly disappointed, My dad even sent me money to shop but they did not attend the event…….I cried. I didn’t fail, people who had 3rd class results graduated, I with a 2.1 turned 2.2 couldn’t. I came back to school that holiday for 3weeks and rewrote the papers, I also had all A’s in them but it was right thing-wrong timing. That supposed success didn’t matter to me , I did not have a graduation, simple. So every other thing was ‘B.S’ to me. But sometimes God allows us to go through fire to be better. That experience tested my faith and made me re-evaluate my choices and efforts. I then understood Ecclesiastes 9:11…that the race is not to the swift or the battle to the strong, nor does food come to the wise or wealth to the brilliant or favor to the learned; but time and chance happen to them all. 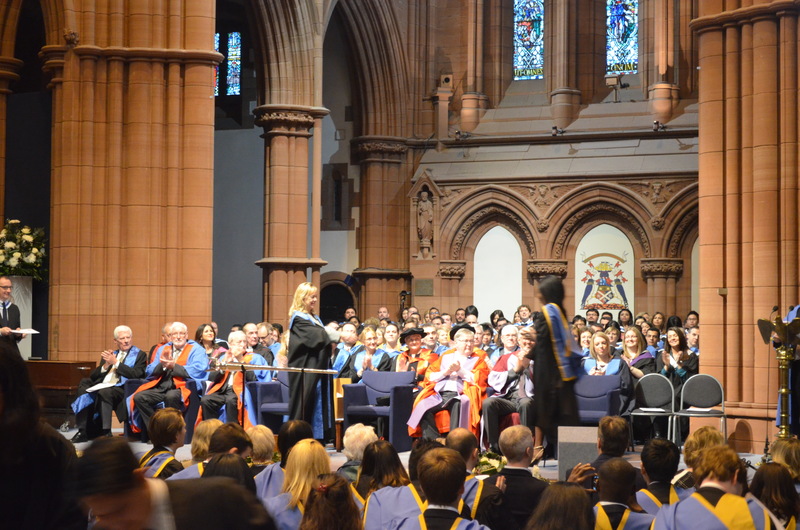 When I was coming for my masters programme 2years later (setember 2013), There was a lot at stake. I was also going through some emotional hurdles that time(story for another day) and I just knew that leaving Nigeria was just the best decision that time. I told my parents I wanted to go abroad, they prayed about it. When they felt peace on it, they let me go. I felt I needed to “escape” from my life… I knew and could feel the plans God had for me but my life just was not that reality. I also had lots of distractions that time, and you can’t serve God and Mammon. God moulds us in solitude so I needed to be alone. Looking back, this year has been absolutely life changing. God took over my personality, academics and career. So many testimonies I can’t begin to share, but truly God distinguishes his own. I did not just pass through an institution, I made a mark amongst my peers and experienced a wholesome life balance. 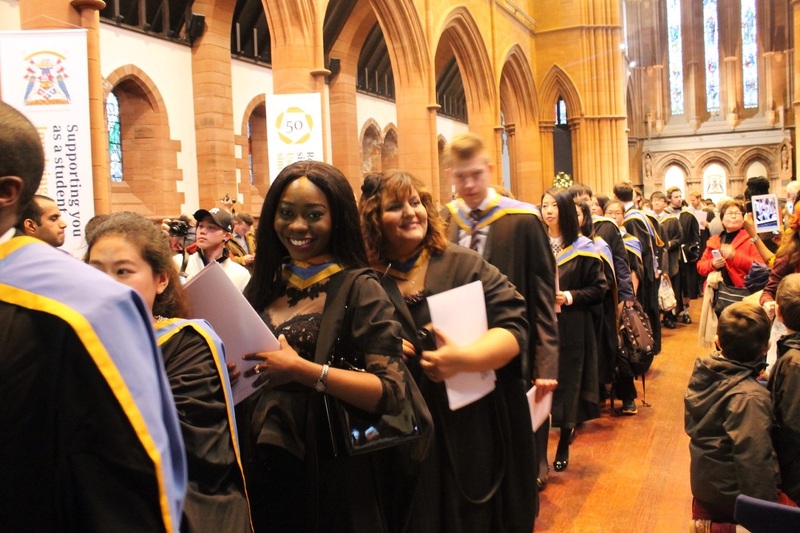 I have grown and still humbly growing….. You may also know that I was in a ghastly accident on the day I handed in my dissertation(Read Here), but look who’s here today. The smile on my parents face yesterday was unimaginable! I had an awesome result, and I made my dad proud. I thank God for his mercies over my soul and provision for my parents who never gave up on me and kept praying. Truly prayer changes people. I have been the worst in all areas but God rewrote my story, I truly can’t wait for where he is taking me because I know those who trust in The Lord are forever secure. Many thanks to my siblings for always being there, my amazing friends, and blog readers( you all keep me happy and creative) Thank you for all the support, kind comments, emails and prayers I’m really grateful. This academic year also won’t be complete without those who helped in my dissertation: Omonike of EMRmarketing and Japhet Omojuwa who gave me their time, insight and provided constructive input, may God reward your labour. To all those who filled my questionnaire thank you! you will forever experience help & favour in time of need. To my well wishers, I’m honoured, may you be celebrated for good. Thank you! ← NATURAL HAIR UPDATE: 2YEARS 1MONTH! First of all, congratulations!!! Your testimony/story has inspired me in ways i cannot put in words. I pray that God continues to use you to touch the lives of people around you and take you to where he wants you to be, in Jesus Name, Amen. Awww, this is gorgeous. Congratulations. Oluwatosin indeed! Congratulations, you inspire me in many ways but firstly your love for God. Don’t worry, God would take you to many places you can’t even begin to imagine. awww God is faithful indeed! congrats dear. Wow!!! Indeed, God is faithful, and He definitely distinguishes His own. Such an inspiring and uplifting testimony. You will forever show forth God’s glory. Amen! See you at the top, dear! Congrats!!! May the good Lord continue to grant you immense favour as always. Awww… im so happy for you. God is indeed faithful. I pray he continues the work he started in you. Aww Tosin i always knew there was something about you.. God actually drew you out to draw you in. Your story just reminded me of the story of the stages of growth of a butterfly..An amazing Testimony it brought tear to my eyes. it’s glaring GRACE LOVES YOU. Congratulation sisterrr! Congrats Tosin. Reading this has inspired me and forced me to comment. More grease to your hardworking elbows. Proud of u n glad to have met u. Would definitely see you at d top. Congrats dear! This is just the beginning… Really inspired by your testimony! 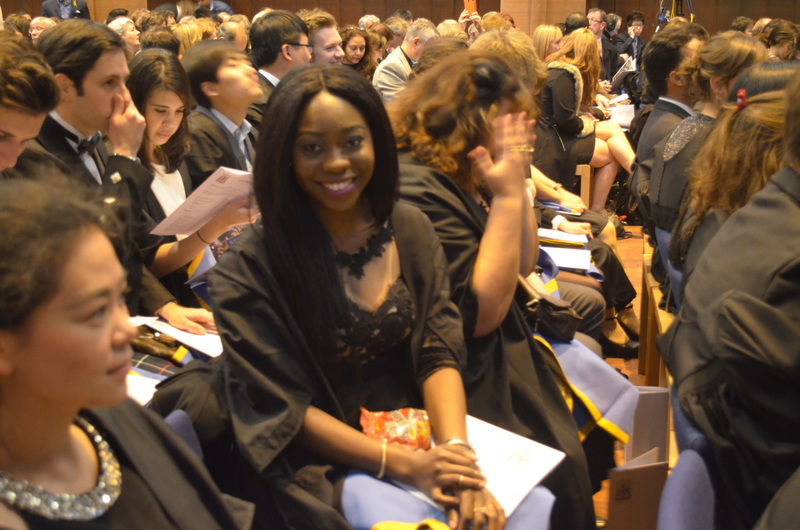 Tosin dear big high five and congratulations! God ain’t through with you yet and this is only the begining.Your testimony is just mind blowing…God is faithfull. Awwww Tosin! Congrats again. I really live your dad. He has been a parent indeed. That is what family is for; to stick together especially when challenges rises up. I’m so proud of you hon. Next is a PhD in Jesus name. Receive it! 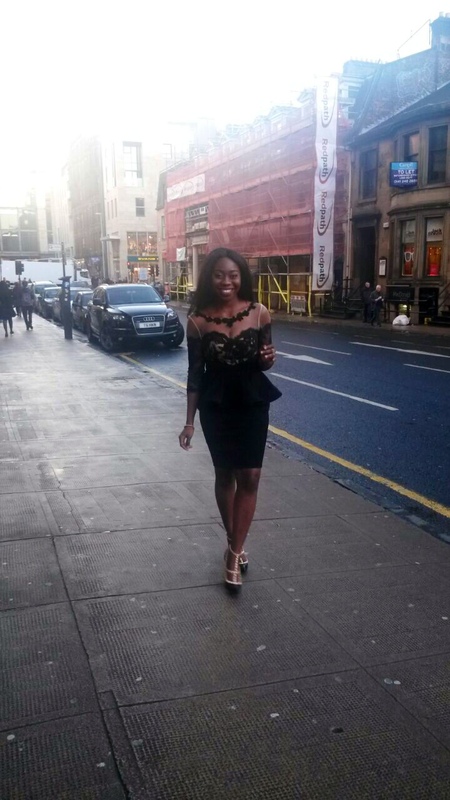 hi tosin, congrats on your graduation…i totally love your dress….please where did u get it from? aww what a great story! found you through Ibukun’s blog. 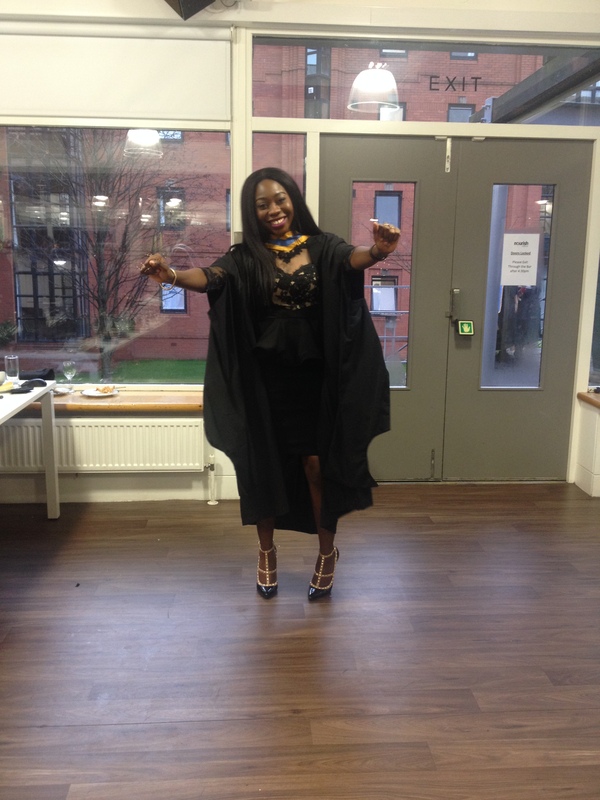 Congrats Tosin!